Taking tape materials and coating technology to new heights, LTO3 offers a breakthrough in performance with a massive 400GB native and 800GB compressed maximum storage capacity per cartridge. 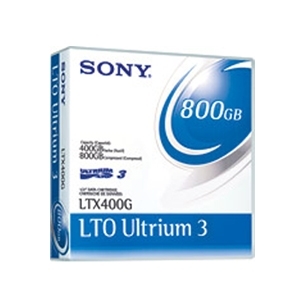 For quicker backup and cost efficiency, LTO3 offers ultra-high-speed 80MB/s native and 160MB/s compressed data transfer. Sony raised S/N ratio further to optimize performance for high-density recording using MR heads. Output is boosted and a variety of noise reduced by employing the latest weather-resistant ultra-fine magnetic material with high packing density on a newly designed base film surface featuring improved smoothness.